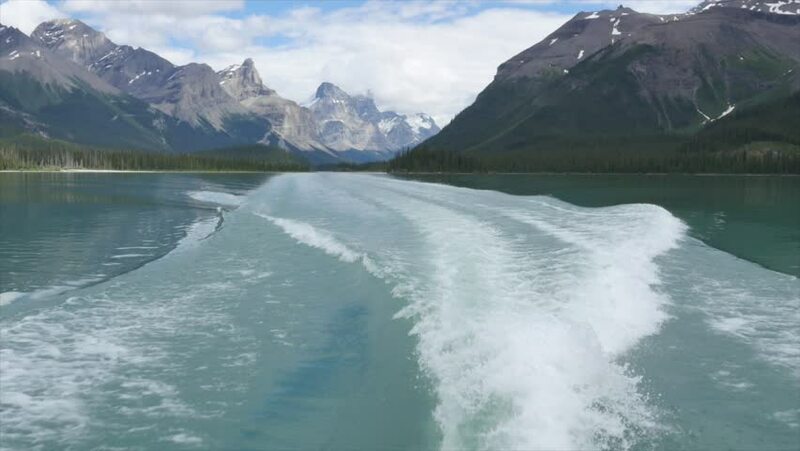 Point of view looking backwards at the wake of riding a speed boat down Maligne Lake, Canada, British Columbia with blue green colour water and snow capped mountains in the background. Shot June 2015.
hd00:07Wide shoting backwards away from a glacier. The blue ice is typical to Alaskan glaciers. hd00:19Waves beat against rocks and stones in Norway. Shevelev.